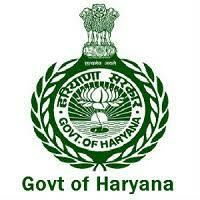 Palwal is the 21st district of Haryana State in northern India. Palwal city is the headquarters of this district. The city is situated at a distance of 60 kms. from Delhi on the Delhi-Mathura highway (NH-2). It is a place of great antiquity, supposed to figure in the earliest Aryan traditions under the name of Apelava, part of the Pandava kingdom of Indraprastha, which was later restored by Vikramaditya. It is believed that the city Palwal got its name from a demon, “Palwasur” who ruled this place during the reign of Pandavas. He was killed by Balarama, elder brother of Shri Krishna. In his memory, every year a festival is organised in Palwal, which is known as “Baldev Chhat Ka Mela”. There is also a temple dedicated to Balaram near Municipal Office Chowk. Railway Station of Palwal is the place from where Mahatma Gandhi ji was arrested for the first time. A historical building “Gandhi Ashram” was made in the memory of Mahatma Gandhi.